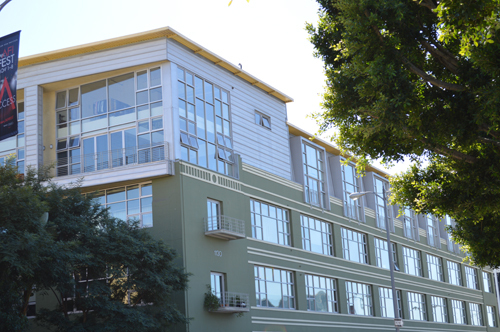 Flower Street condos lofts is one of the buildings that pioneered the community of South Park. It was converted by Lee Homes and CIM Group in 2003. Built in 1936, the building was originally the main distribution center for UPS. Flower Street Lofts is located on Flower between 11th and 12th Street. Standing 4 stories, the Flower Street Lofts offer high residential ceilings from 14’ to 20’. The lofts have expansive windows, concrete floors and exposed ceilings. They also have gourmet kitchens and well appointed bathrooms. Part of the vibrant community of South Park, Flower Street lofts provides a unique experience with entertainment just blocks away with the Staples Center and L.A. Live close by.